I grew up on Batman: The Animated Series and fell in love with that particular incarnation of the character. If anything, the show gave many previously silly characters a much better spin and thus giving characters like Mr. Freeze and Clock King a greater sense of dignity and purpose. Plus the whole thing was just super cool. 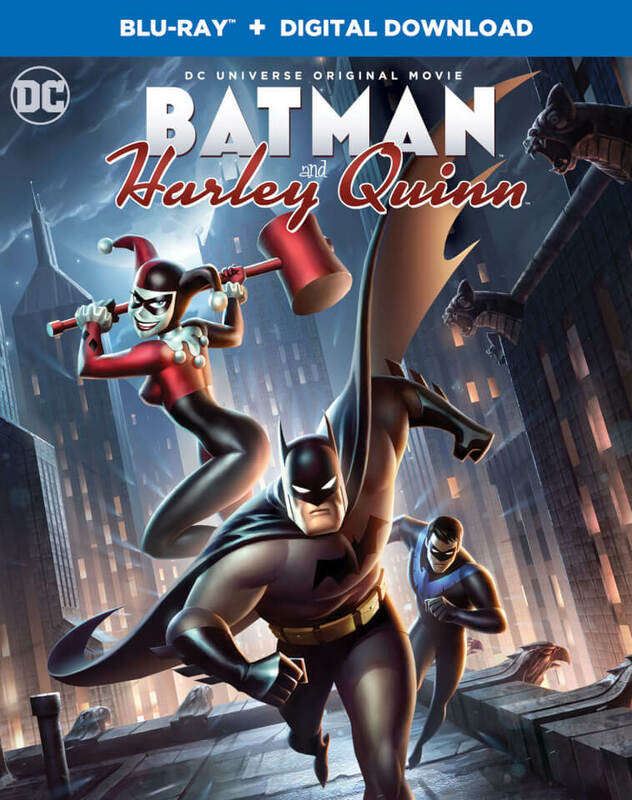 Batman and Harley Quinn was a movie that banked on the nostalgia of the Bruce Tim animated shows, particularly the old Batman ones. After all it had Harley Quinn at the very center of things, which is all the more awesome given she's a character originally created in the animated series and later adapted to the on-going comic books. This movie follows the other DC releases that feel a bit more adult in tone given they're not limited by the restrictions of broadcast television regulations. This is either a good or a bad thing depending on your personal preferences for this sort of content, but it did result in a weird bit in the middle. Synopsis: Batman an Harley Quinn is a direct-to-video animated movie directed by Sam Liu. The story and screenplay was written by Bruce Timm together with co-screenplay writer Jim Krieg. The story begins with Poison Ivy (Paget Brewster) teaming up with the Floronic Man (Kevin Michael Richardson) for some big scheme. But in order to figure out what that plan is, Batman (Kevin Conroy) determines their possible lead would be to talk to Harley Quinn (Melissa Rauch). Thus he has Nightwing (Loren Lester) track her down while he investigates the other locations the pair have hit. At A.R.G.U.S. Batman learns that they had kidnapped a scientist who may have the expertise to help them replicate the process that one created Swamp Thing. Meanwhile Nightwing finds Harley working as a waitress at an odd restaurant. It turns out her status as a criminal hasn't helped her get decent work as a psychiatrist ever since she was last released from Arkham. Nightwing feels for her and tries to convince her to help out. What I Liked: The tone of the movie really had the feels of revisiting the older cartoon several years later. Sure it doesn't mean that the characters have visibly aged since we had last seen them, but the overall approach to the show had shifted to feel a bit older. So the jokes were a little cheekier and some of the situations were definitely more adult, but the overall tone of things still felt consistent with what I'd expect from a natural evolution of the cartoon series. And the interaction was pretty good between Batman, Nightwing and Harley Quinn making for a decent buddy cop vibe to things. They certainly took advantage of having Nightwing in this as Batman alone makes for a lousy comedy routine no matter how hard he tries. But the real start of this feature is definitely Harley as she had some of the best lines in the movie or at least some of the best jokes. What Could Have Been Better: The core plot of the movie with the whole play by Poison Ivy and the Floronic man was rather silly or at least felt a bit too much the vast majority of Poison Ivy's plans in the cartoons. Why she had decided it was a good idea this time around is a little lost on me but I guess they needed a reason to have Harley and Poison Ivy have a moment. It was sort of inevitable once they had all the characters together. Once again, this was yet another Bruce Tim feature that include a questionable sexual sub-plot. It wasn't quite as disturbing as The Killing Joke, but it does feel a little weird why he continues to go in this direction. Is he determined to bring various slash fiction stories to life in these movies? I can't see what value it provides to the story as a whole, and thus they end up coming across as oddly indulgent or something. TL;DR: Batman and Harley Quinn is largely a fun movie with a lot of quirks to it. It's a movie mostly centered on Harley Quinn but I do sort of wish that they had cast someone else as her voice actor for one reason or another. Thus the movie gets a good 3 Harley Quinn jibes out of a possible 5.